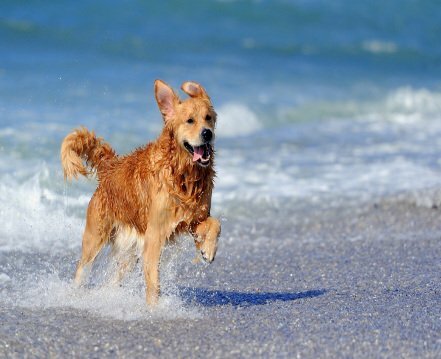 FIND THE BEST SOLUTION FOR A DOG SITTING HOLIDAY FOR YOUR PET! Looking for someone to take care of your dog when on holiday? Want your beloved pet to experience a real dogsitting holiday? What sort of care you choose is very important for you and your dog. Finding the best pet sitting solution for your dog’s well-being. Why choose to leave your dog in the Pet sitter’s home? Dog owners often appreciate the pet sitting option, to keep their pet in a warm, family atmosphere. The owner can leave their dog in the pet sitter’s home, where he or she will be considered like their own while you’re away. Dogs have a variety of different needs. In addition to showing devotion, trust and safety, the pet sitter will provide him with everything that he needs for his stay. In order for the stay to take place in the best possible conditions, we highly recommend that you meet up first with your dog sitter. During this encounter, you’ll be able to chat with the pet sitter, exchange on your dogs habits, personality and more importantly see whether your dog ‘adores’ him! How can I keep my dog at home? A dog has it’s own character that may vary depending on his breed and different life experiences. It’s not unusual, to come across dogs unable to stay on their own or to change environments when the owners are away. If you are in this case, please note that we can also arrange for someone to come to your home. It is a different sort of day care that is totally in line with dogs that suffer from loneliness and that are stressed in unfamiliar surroundings. The dog sitter comes to your home to look after your pet. With this type of care, the pet sitter commits to staying overnight to keep your animal company, so he feels safe when it’s dark. How do I organize regular dog walks? If you have an independent dog, that doesn’t mind staying on his own while you are away, we can also organise daily walks. This dog walking formula is easily adapted to your dog’s everyday life, without disturbing his habits. Depending on your lifestyle, you can also take on a dog walker on a weekly basis. Which dog sitter’s profile is the best one for my pet? What is the best type of care for my dog? What if the dog sitter already has an animal? Does my dog need to have all his vaccinations up to date? All these questions vary according to your dog‘s breed and nature.